Our team's goal at Google has been to improve and simplify the experience for small business owners. In addition to improving Punchd, we've been working hard to integrate Punchd features and ideas into other Google products. 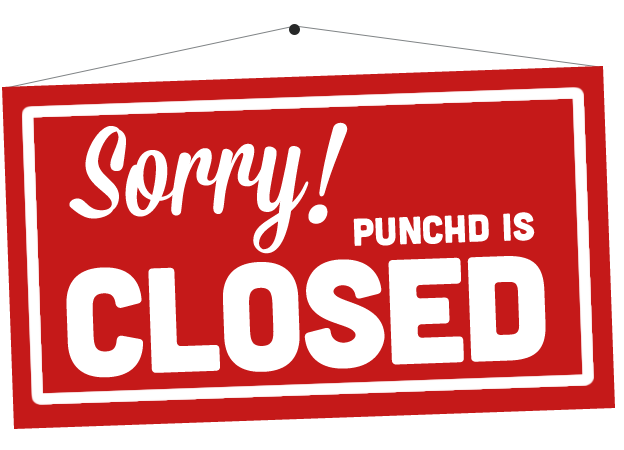 In 2013 we decided to shut down Punchd and dedicate our team's time and energy into the integrations with other products. We hope we made your life a little bit better and easier, and look forward to building other products that do the same here at Google. In 2009, while at Cal Poly San Luis Obispo, Reed Morse and Grantland Chew built a simple app to help small business owners and reward their customers. With the help of Niket Desai, Xander Pollock, Matt Joanou, Kareem Nassar and Nat Welch, they turned it into something bigger and better. Google acquired the company in June 2011. In order to simplify and improve the Google experience for business owners and their customers, the team decided to retire the product in June 2013.